I wanted you all to get this important information to be able listen to the show and call in. I am on the East Coast in Virginia, so obviously my clock is set at 3pm-5pm EST. 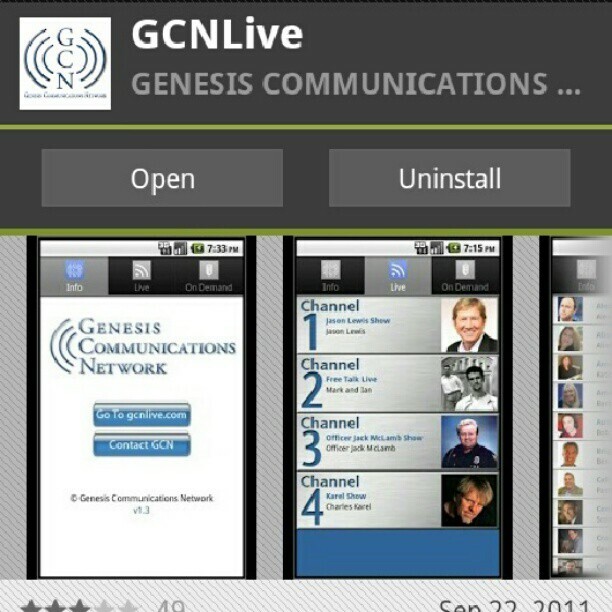 If you have a smart phone download the GCN mobile app by typing “GCN Live” to listen. The mobile app looks like this. After the first broadcast, the most recent show will repeat. So you can always go back and listen. Exclusive Flow of Wisdom Call in Number: 1-877-300-7645 <— Save that in your phone! I want to hear from YOU! International Callers: 00+ 1+ 651-695-7759 <—- I definitely want to hear from you! Be sure to connect to the Flow of Wisdom page on Facebook. As well as my personal twitter so I can read your comments on the air.